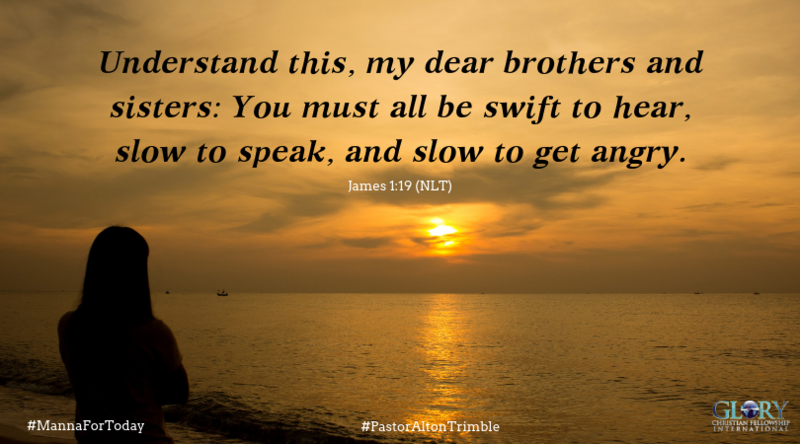 James 1:19 – Understand this, my dear brothers and sisters: You must all be swift to hear, slow to speak, and slow to get angry. Lord, help me to hear and understand, so that what I say is inline with Your will. Jesus, grant me understanding and wisdom. Amen!